Dance on the clouds with Raptor Productions! The first dance sets the tone for the entire wedding reception. It isn’t just the newlywed’s first waltz as a married couple, it’s an opportunity for the lovebirds to express themselves on the dance floor. While some couples prefer a traditional approach to the first dance, others choose to modernize the event with choreographed dances and more. However you prefer to enjoy your first dance, Raptor Productions can make the moment truly spectacular. 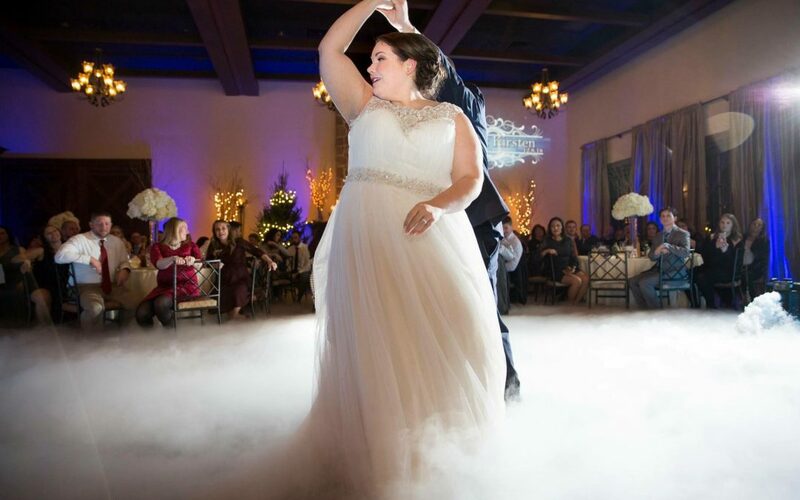 Raptor Productions can add the “wow factor” to your first dance with a special fog machine! The effect is known as “Dancing on the Clouds” because it gives the impression that the newlyweds are waltzing on a perfect, fluffy cumulous cloud. The low-lying fog remains knee high, creating a dreamy layer beneath the couple’s feet. 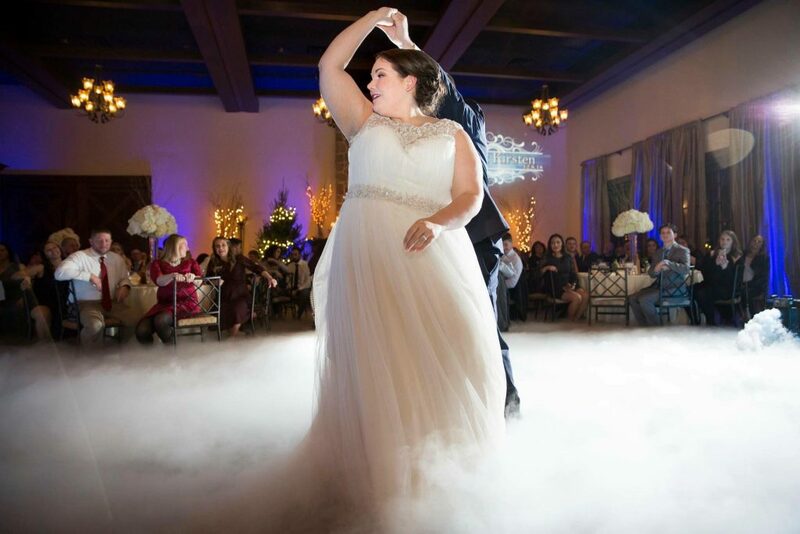 As the fog stretches throughout the venue, your guests will feel like they’re part of the magic too! What better way to personalize your wedding than with gobo/monogram projections? The Raptor Productions team can tailor your monogram or projection of choice to meet your needs. Imagine swaying on the dance floor with your name up in lights! Gobo/monogram projections come in a variety of fonts, styles, and colors, so you’re bound to find the right one for you and your spouse. Your wedding photographs will be cherished memories for years to come. With uplighting and spotlighting, you can be ready for your first dance close-up! Uplighting creates the ideal lighting for photographs while spotlighting highlights the couple’s best features! The Raptor Productions team can help you choose the color scheme that’s best for your wedding. Are you planning a wedding in Baltimore, Washington DC, or beyond? Call Raptor Productions! As a professional mobile DJ and event production company, Raptor Productions is proud to service Carroll County, Baltimore County, Frederick County, Washington D.C., Southern Pennsylvania, and surrounding areas.Call Raptor Productions at (443) 536-5887 and follow us on Facebook, Twitter, and G+for news and updates. Get the party started with Raptor Productions!